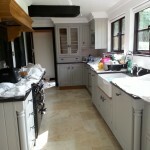 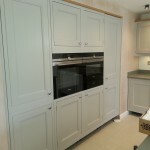 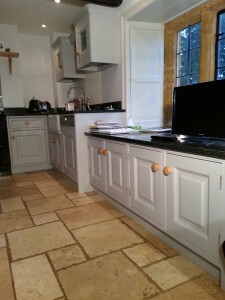 This was a 8 year old Hand Made Bespoke Farm House Style Kitchen Supplied And Fitted By A Bell & Co Ltd Of Northampton In A Beautiful Grade 2 Listed Manor House That I had The Recent Pleasure Of Repainting. 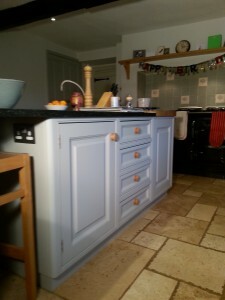 As I Undertake The Painting Of all A Bells New Installations They Recommend Me To There Customers That Require There Excisting Hand Made Furniture Repainting, A Bell & Co Ltd Have Been Trading For Over 100 Years In Northamptonshire So Quite A Privilege For Them To Use My Services. 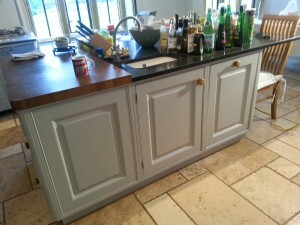 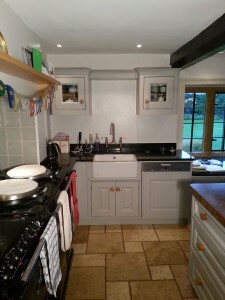 This Kitchen Had Worn Very Well And Just Required A Good Clean Down Followed By A Undercoat And Two Top Coats Of Matt Furniture Paint Mixed In A Very Popular Shade Of Grey, The Handles Just Needed A Clean And Looked As Good As New. 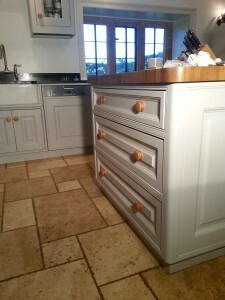 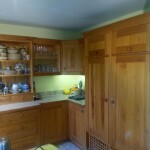 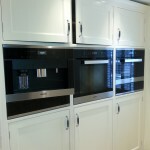 I Must Say That A Bell & Co Ltd Kitchens Are Really Well Made And Always Look Great When They Are Repainted And Are On A Par With Any Of The Well Known companys With Show Rooms Based In London .